The impact of an office interior design plan can often be underestimated, especially when it comes to the efficiency and flow of a workplace. We’re here to tell you that the layout of your office can have a direct and noticeable effect on how well your employees collaborate. While it is true that many people value a personal and private office space, in the fast-moving modern world the most important thing in business is quick, effective communication and collaboration. Workers must be able to find exactly who they’re looking for quickly. ⦁ Open Floorplan – No walls and no doors, this floorplan is centred on the idea that everyone is on the same level, and in the same room. Workstations are as each employee needs them. There must be some zones in your workplace design and office fit-out where you can close a door for hitting out key tasks. ⦁ Breakout Areas – These are the open-plan version of a board or conference room. These spaces may be sectioned off booths or a smaller incarnation of a meeting room. They lessen the feeling of confinement a normal conference room might present. Some designers miss this type of requirement in an interior refurbishment. ⦁ Quiet Zones – These are small zones around the office made for individuals who need time to tackle a task quietly and with intense focus. 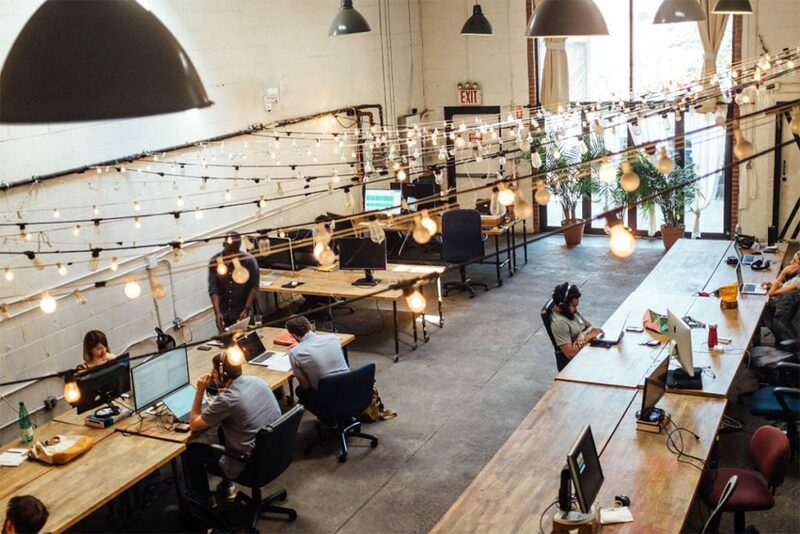 One of the drawbacks of an open office plan is background noise, but the provision of these zones mitigates that problem nicely. ⦁ Touchdown Workspaces – These are typically un-allocated desks or spaces where employees who aren’t typically in the office can bring a mobile device or work and sit to work through some administration work while in the office. They don’t take up valuable space because when those touchdown employees aren’t there, the spaces are able to be used by others. ⦁ Streamlined Resources – Essentially the stop for all of your employees’ needs, like printers, documents, scratch paper and more. Whatever they need, put it all in one well-organised spot in the office. While this kind of plan does have one drawback in the form of background noise, the rest of the attributes it will lend to your office could be highly beneficial. Of course, it depends on your workplace as well. For example, an event production company where multiple teams have to be collaborating at all times is the ideal environment for an agile office plan, because it allows everyone access to everyone else at all times throughout the work day. Rather than waiting to hear from someone else and potentially losing valuable time because of it, employees are able to directly approach other employees without feeling either a mental or a physical wall blocking their way. For a company that focuses on audio transcription however, such a layout may not be optimal because it requires a quiet or secluded environment in which the employees can focus on the work at hand, and only the work at hand. As previously mentioned, most industries today are moving at an incredible rate, and it’s time for us to evolve to accommodate such speed. Open the minds of you employees, and you will find a world of opportunity. Considering an agile fitout for your next office interior refurbishment? Contact the experts and get our advice on how to increase collaboration in your workplace today.